If you are searching for a simple, versatile window treatment that can adapt to contemporary and traditional styles alike, you can’t go wrong with an XL Pleated Shade. Pleated Shades add clean lines and textural interest to windows, and our customization options make them an ideal choice for a variety of uses, including light filtering, light blocking, extra wide windows, and children’s rooms. The Shade Store’s XL Pleated Shades feature a 2” oversized pleat for a modern update to the classic pleat. This size works well on smaller windows, and is big enough to hold its own without looking too busy on large windows. The single layer of material that makes up Pleated Shades also ensures a compact stack when the shades are raised, perfect for modern designs, beautiful views, and allowing in natural light. We offer 35+ colors across 6 exclusive materials, ranging from textures and prints to neutrals and solids. For bedrooms or other rooms where privacy is a concern, blackout linings are available. These linings block 95% of light and protect the shade material from UV rays that can cause fading over time. Pleated Shades are one of our most functional shade options. The shades are light, making them easy to raise and lower frequently. If you like to let in some light while maintaining a degree of coverage, Pleated Shades can be made for your windows as Top Down Bottom Up Shades. Raise the shades from the bottom as usual, or lower the shades from the top to add brightness while keeping the lower portion of your windows covered. In nurseries, kids’ bedrooms, and common areas in homes with young children, it is important to consider child safety when selecting window treatments. Pleated Shades come in Cordless and Motorized control types, which keep children safe by eliminating cords. Our Cordless and Motorized control types have been certified “Best For Kids” by an independent third party in conjunction with the Window Covering Manufacturers Association. You can add style and fun to your kids’ spaces shades in bright colors or cheerful prints while resting assured that the shades you’ve chosen are safe. 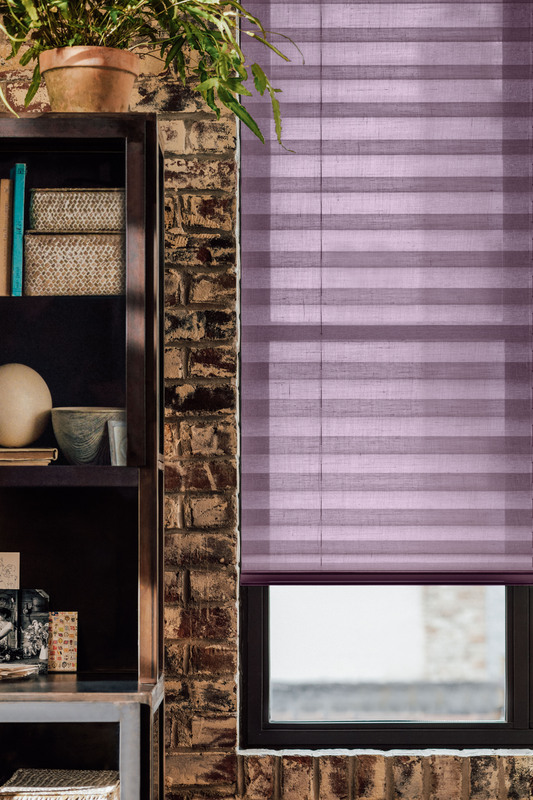 Order free swatches of any of our Pleated Shades materials online, or stop into a nationwide showroom to see them on display and speak to one of our expert Design Consultants. We will help you craft the perfect pleated window shade that looks great and meets the needs of your space.